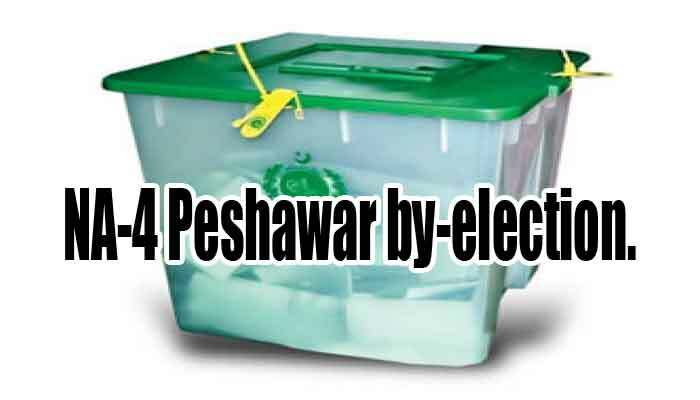 PESHAWAR: Retaining the seat of the NA-4 constituency of National Assembly is going to be an uphill task for the Pakistan Tehreek-e-Insaf (PTI), as its former MNA Gulzar Khan (late) from the same constituency revolted against the party’s sit-in politics in 2014, whereas his son, Asad Gulzar, is now contesting election against the PTI on the ticket of Pakistan Peoples Party (PPP) in attempt to clinch the PTI’s seat. The NA-4 seat fell vacant following the death of PTI MNA Gulzar Khan. The NA-4 by-polls on the will be held on October 26 (Thursday). A total of 14 candidates are taking part in the by-polls, including six mainstream political parties. The registered voter strength in the constituency is 397, 952, among them 235127 male and 162825 females. The Election Commission of Pakistan has established 269 polling stations in total, and out of these stations, 39 polling stations will experience electronic voting system for the first time in Khyber Pakhtunkhwa. All the major parties of the province have been running extensive campaigns to muster support ahead of the by-polls. The PTI has fielded Arbab Aamir Ayub as its candidate, the son of late Arbab Noor Muhammad Khan and younger brother of MNA Arbab Zahir (late). Arbab Aamir Ayub served as a mayor from 2005 to 2009 owing to the support of the Awami National Party (ANP) then. Being a younger brother of ANP leader and having affiliations once, it is likely that the Ayub will damage the vote bank of the ANP, wooing ANP voters into voting for the PTI. On October 13, Imran Khan spoke to a public gathering, urging them to cast vote for the “change” as he issued party ticket to Ayub. However, the PTI faced a setback, as it failed to convince its coalition partner in Khyber Pakhtunkhwa government, JI, to withdraw its candidate in favour of Arbab Aamir Ayub. So far, the PTI has only managed to muster the support of the Pakistan Awami Tehrik (PAT) and JUI(S). It is ironic that PTI stalwart late Gulzar Khan’s son Asad Gulzar is contesting election from PPP’s platform. Gulzar had fallen out with Imran after the latter’s sit-in politics. Being popular with people of the area, the PTI has lost a considerable amount of votes with his son going to the PPP. PPP Co-Chairman Asif Ali Zardari also visited Peshawar earlier this month to support Asad Gulzar’s by-poll campaign, and today (Sunday) Bilawal is also set to speak to a party gathering in Peshawar in a bid to strengthen party candidate’s position. Other than the PPP and the PTI, Pakistan Muslim League-Nawaz (PML-N), amid apparent divisions, is also eyeing the NA-4 seat. The party has pitted 2013 NA-4 runner up Nasar Musazai to contest the by-poll. PML-N leader Amir Muqam and his brother MNA Ibadullah are running an active campaign for their party nominee, along with making various predictions of PML-N victory. Moreover, Musazai also enjoys the support of Jamiat Ulema-e-Islam-Fazl (JUI-F) and Quami Watan Party (QWP) of Aftab Ahmad Khan Sherpao, who have addressed certain election gatherings for the PML-N candidate to urge people to vote for the PML-N. Similarly, the ANP too is hopeful of winning the by-polls and has chosen former deputy speaker Khushdil Khan as its candidate. Claiming that the local leadership of the JUI-F supports him, Khushdil Khan seemed optimistic about his victory. However, with Gulzar Khan’s son in PPP, the vote bank of the ANP has sustained some damage. The ANP provincial and central leadership are also active in running the campaign, with Asfandyar Wali Khan having addressed two gatherings so far. However, the ECP had banned Ghulam Ahmad Bilour and former chief minister Amir Haider Khan Hoti from making public speeches. Jamaat Islami has fielded former Union Council Nazim Wasal Farooq Khan. JI central chief addressed an election rally earlier; the JI is making all-out efforts to bag the seat. Following relatively better results in Lahore’s NA-120 by-polls, Milli Muslim League-back candidate Haji Liaqat Ali Khan and Tehrik Labaik Pakistan’s (TLP) Dr Mohammad Shafique Amini are also contesting the election in a bid to further tout their parties. They take this by-poll a rehearsal for the coming general elections in next year. NA-4 is the biggest constituency of Peshawar from where many influential political families draw their strength. It includes Badhber, Chamkani, Surizay, Urmar and suburbs of Kohat Road, and is mostly comprised of rural areas including outskirts of Nowshera and Frontier Region Peshawar (Darra Adam Khel). The constituency also has three provincial assembly seats. NA-4 was won by PTI candidate Gulzar Khan in 2013 with a total of 55,134 votes. Nasir Khan Mosazai (PML-N), Sabir Hussain Awan (Jamaat-e-Islami) and Arbab Ayub Jan (ANP) followed with 20,412, 16,493 and 15,796 votes, respectively. The turnout in 2013 polls was recorded at 40.34 percent as 138,555 votes were polled out of which 3,707 were rejected.